Total number of calls given in month : 20. Total profit making calls : 13. Accuracy this month : 65%. 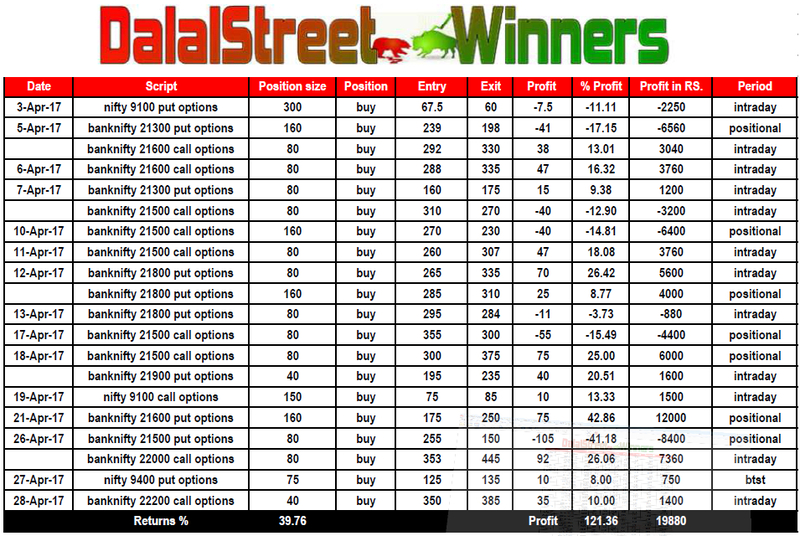 Highest profitable trade in month : Rs.+12000/-. profit in month : Rs.+19880/-. return on opening capital for month: +39.76%. option tips average profit/ month : Rs. +19,400/-. option tips average return on capital/ month: +38.75%. 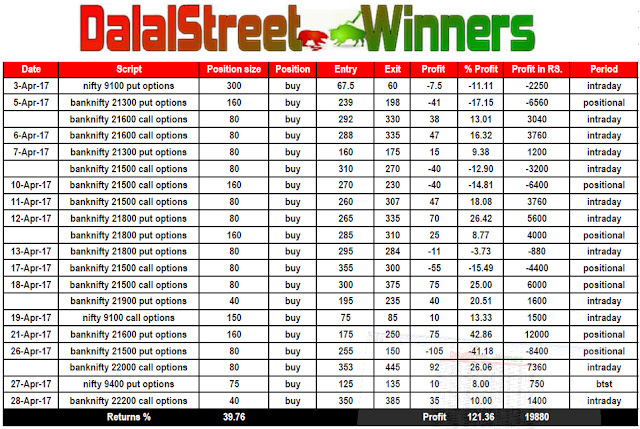 option tips total returns on capital till now : +2246%. (58 months).